Arriving in Melbourne on April 23rd and departing on April 28th 2019. The match against the Hallam College team will be played at Blue Scope Steel Recreation Centre, Hastings Melbourne Australia and will commence at approximately 6.00pm (to be confirmed) on Wednesday April 24th 2019. The match against the Mornington Peninsula JFL team will be played at Blue Scope Steel Recreation Centre, Hastings Melbourne Australia and will commence at approximately 6.00pm (to be confirmed) on Friday April 26th 2019. Please note the scheduled payment plan below, required prior to final team selections. If you are not selected in the final team any payments made towards the New Zealand Falcons Campaign will be refunded to your nominated account. Deposits made to Westpac Newmarket New Zealand AFL Inc. 03 0283 0094878 000 please include last name or mobile number as reference. Full payment is required prior to the campaign. Please contact Robert Vanstam AFLNZ CEO with any further questions regarding finance on 021 399 629. The Under 18 New Zealand Falcons will reside at the Quest Windsor for the nights of April 23,24,25,26,27th. All accommodation costs are covered through your player contribution. All items should be clearly identifiable/marked as there are team mates and management staff with the same gear. Regional Players flying direct to Melbourne (Christchurch, Otago and Brisbane) Please wear polo from previous campaigns. You will receive new polo on arrival to accommodation. The team will be supplied with playing uniforms consisting of New Zealand playing shorts, playing jumper, socks and gear bag. You will also receive New Zealand jacket, polo and gym shorts as part of your off field uniform. All these items are covered through your player contribution. You will be required supply black dress pants, shoes and belt as additional elements of your uniform. Training uniforms including socks, tops and shorts will be provided and returned throughout the campaign. Please do NOT wear any old NZ Hawks gear during the campaign. Throughout the campaign, Chris Johns from Physio by Design will provide consultation and assistance with your injury and rehabilitation requirements. Chris will personally attend the campaign. On the day of arrival a joint training session will be held with the Mornington Peninsula JFL team at Blue Scope Steel Recreation Centre, Hastings Melbourne Australia and will commence at 4.00pm. The team will attend the Melbourne Dawn Service to commemorate ANZAC Day on April 25th. This will be followed by attendance at the ANZAC Day clash between Collingwood and Essendon at the MCG that afternoon. AFL New Zealand is unable to provide tickets for family and friends with this game a predicted sell out. Following on from the matches on April 24th and April 26th , there will be a meal and awards presented at the After Match function to be held at Hastings AFL Club. Best player awards for both teams as well as the match trophy will be presented along with speeches from coaching staff and award winners. Attendance at the awards is covered through your player contributions. The New Zealand Senior team will oppose the AFL Academy. The match against the AFL Academy team will be played at Marvel Stadium, Docklands Melbourne Australia, scheduled prior to the St Kilda FC vs Adelaide FC AFL contest and will commence at approximately 1.00pm (to be confirmed) on Saturday April 27th 2019. The Under 18 New Zealand Falcons will attend both the New Zealand Senior vs AFL Academy and the St Kilda FC vs Adelaide FC matches at Marvel Stadium. Following closure of the link at the stipulated time, tickets will be available through normal on line ticketing outlets. Remaining meals will be self-catered via supermarket shops with all costs covered through your player contributions. Please ensure your passport is up to date and valid. For those based in New Zealand, Scan and email to football@aflnz.co.nz as soon as possible. We are expecting players to participate from venues including Melbourne, Brisbane, Otago, Canterbury, Wellington, Northland, Bay of Plenty, Waikato and Auckland. All domestic and international flights will be booked and paid for by AFL New Zealand and are covered through your player contributions. Flights will arrive in Melbourne commencing from the morning of Tuesday April 23rd. Will depart Auckland on April 23rd at 8.50am arriving in at 10.55am in Melbourne. Flights home will depart on the 28th at 12.10pm arriving 5:45pm. Will depart Christchurch on April 23rd at 6.05am arriving in at 8.00am in Melbourne. Flights home will depart on the 28th at 6.55pm arriving 12.25am. There may be some additional transfers required for other tickets for those based in NZ locations outside of Auckland and Christchurch. At this stage we will require billets in Auckland for 1 person . Please advise if you can provide accommodation on the night of the 22nd April and provide transport for your billet to the International Airport the next morning. The team will travel with the assistance of three team minivans that will also assist with transfers for other playing teams over the ANZAC itinerary. All ground transportation costs are covered through your player contributions. On some occasions we may require assistance from Melbourne participants to assist with miscellaneous transfer requirements. All air travel and functions are – Number 1’s. It is up to individuals what they bring in regards to valuable items. If you are bringing valuable items with you on the campaign, you are responsible for their security. It is recommended that you have them on you at all times except when in a group environment ie training and playing. In these cases utilise the valuables bag. The Valuables bag will only be big enough for players wallets, watches, phones and jewellery. Once passport has been used for its official business getting through customs etc it will be collected by team management and secured until required again. Be turned off. Making calls, texts and receiving calls can be at a high rate. The Senior Tour will take place from April 24th to April 28th with one game on Saturday April 27th at Marvel Stadium at 1.00pm TBC. They will also be based at the Quest Windsor. 6.00pm Welcome Function at Hastings AFL Club. 8.00pm After Match Presentations Hastings AFL Club. 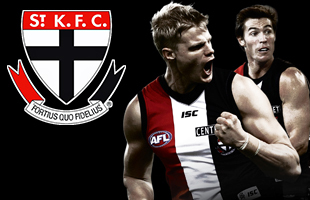 The training component is likely to have a St Kilda FC visit to Moorabbin added. Training, free time and rehab time slots will be advised by team management in the near future.